A majority of immigrants come to America chasing the American dream. Their pursuit of happiness is protected by the United States’ Declaration of Independence. As immigrant populations increase, schools must begin to cater to the needs of non-English speakers. Children of color now outnumber non-Hispanic whites in the nation’s public classrooms, according to Education Week. With the immigrant population on the rise, the U.S. educational system must work to accommodate them. Immigrant children face language and cultural barriers that cause them to fall behind in school. Poor academic performance among immigrants is a result of lack of accommodation in regards to teaching methods. Not everyone is taught one way and fits the same mold; Moreover, success shouldn’t depend on fitting the mold. Most immigrant children learn two languages to be able to keep up in a euro-centric school system. 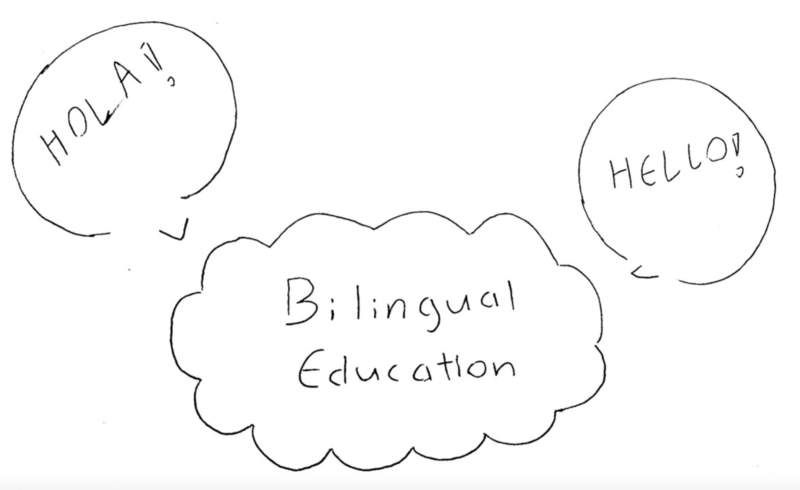 Many schools have yet to endorse bilingual education in their classrooms. Immigrants learn English in their efforts to assimilate, because they are forced. It is difficult to get anywhere in America without English. Upon arriving to America, there’s a culture shock. Back in their country, everything was so different. America is the “country of freedom” to foreigners. In America, people of many cultural backgrounds exist; diversity and opportunity appeals to all. Immigrants come to America with all these ideas only to find that they must cover up their roots to assimilate. They often change their names to something “easier to pronounce,” and work to get rid of the accent ridiculed at their workplace. They find that their efforts to retain their cultural identity is what is holding back their American dream. More schools need to move away from Eurocentric ideas and work towards a new system that lets everyone benefit from the American experience. To retain cultural identity, to be American without covering one’s roots. America is a melting pot and its people aren’t all English speakers. School systems must realize that not one American is the same; success in this country should not be determined by their ability to assimilate. Rather, school systems need to accommodate for the obstacles immigrants face and change their teaching methods accordingly. Immigrants can’t be marginalized; there’s so much potential thrown away because they can’t speak English.